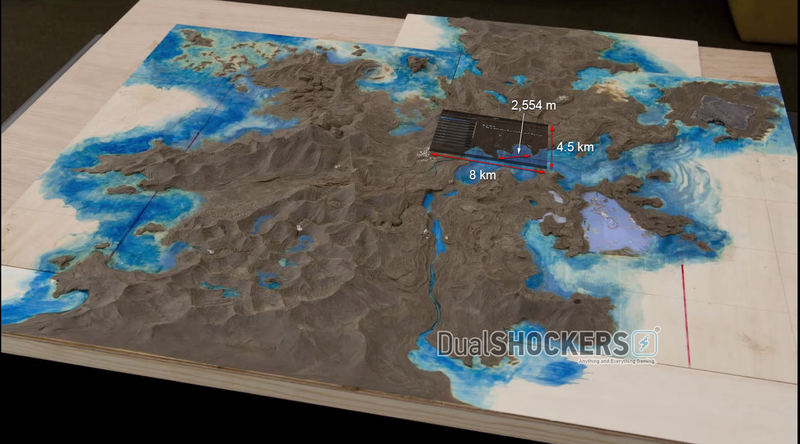 We have been trying to calculate the size of the map of Final Fantasy XV since the release of the first tech demo, that included a diorama of what seems to be the game’s world. 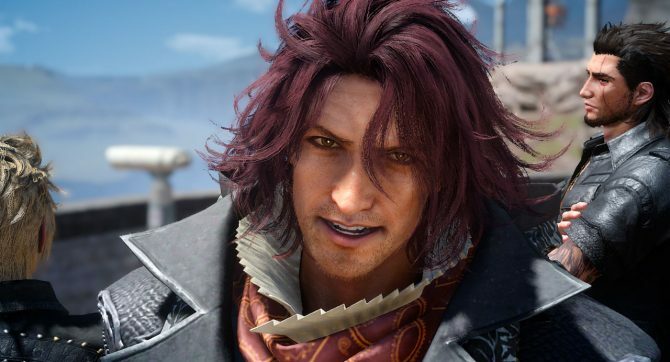 The first attempt wasn’t successful, as it was based on information provided by Game Director Hajime Tabata, that was afterwards clarified removing the link between the map of Episode Duscae and the full world of the game. This time around, we may have found the real key to get at least a rough estimation of the size of Final Fantasy XV‘s full map, and thanks to our Mathga II and Photoshopga II magicks, we discovered that it’s enormous. Even bigger than what we initially expected. First of all, a disclaimer: there are a few elements of risk in this process, which could throw the numbers off by a certain margin: first of all, I’m basing this on the assumption that the diorama is indeed the full map of the game. We have few reasons to believe that it isn’t, but it’s worth mentioning it. During game development, things can change. Secondly, there’s a degree of approximation involved: we’re dealing with pixels and perspective, and the pictures we have of the diorama are small and blurry, as they come from a video. Thirdly, a large percentage of the map is made of water. Unfortunately there’s no precise way to calculate the area of the landmasses by themselves, but this is still a good way to get a good estimation on the scope of the map. But let’s start with our key: we can find it in the driving video released recently. 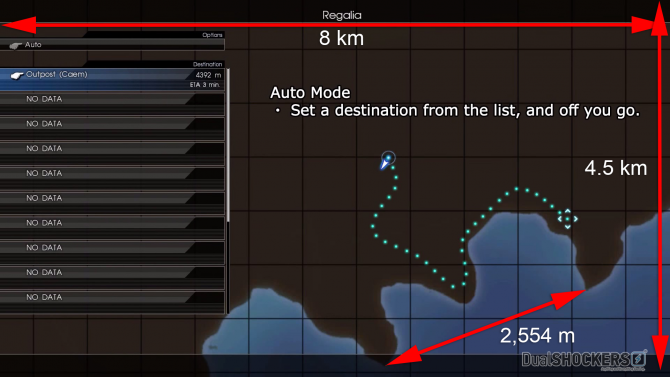 At the 19 seconds mark, you can see a map. The map indicates the length of the route mapped, which is 4,392 m. This is our breakthrough. First of all, we need to calculate the length of the route in pixels. The whole route is a dotted line featuring 35 dots from start to end. If we consider the space between the center of each dot as our basic unit, there are 34 of them, and they’re 31 pixels long. Hence the route is 1,054 pixels long. This means that each pixel is 4.1667 m.
Now we can calculate the size of the map displayed. It’s 1920 x 1080 pixels, resulting in 8,000.6 m x 4,500.34 m. Eight kilometers by 4.5 kilometers. The result is very precise, and that’s definitely encouraging. We’re on the right track. Now, things got tricky. We have the (alleged) full map, and a small portion of it. The only way to calculate the size of the full map is to precisely identify where the small portion is located. This is a bit problematic: first of all, we don’t know where the north is on the full map, and secondly, the scale is really small. Perspective also did not help. I thought of giving up several times, as multiple false leads ended in failures, but in the end I made it: i found an area in the full map that matched perfectly with the coastline of the small one from the latest video. There are no doubts here: the coastline is a 100% perfect match, and so are the positions of rivers and canyons. In order to calculate the size of the full map, we need to utilize two relatively precise points, and use their distance as a term of comparison. The two best candidates are the tips of the two peninsulas you can see marked in the pictures above. Their distance in the partial map is 613 pixels, translating to 2,554.19 m. In the full map, they’re 58 pixels apart, and this gives us our basic unit; each pixel in the full map is 44.04 meters. Now, we face a problem: perspective deforms the map, but we’re lucky. Our peninsulas are close to the center, so the margin of error pretty much averages out. We could deform the map back to a flat plane, but this risks to introduce enormous margins of error, so it’s better to just consider the effect of the perspective at the top canceling out the effect at the bottom. It’s not perfect, but it works. Now it’s just a matter of multiplaying the pixels of each side of the map by the size of each pixel. The map includes a large rectangle measuring 1,582 x 647 pixels, plus a small rectangle measuring 467 x 57 pixels. This means that the map measures 69,671 m x 28,494 m + 20,567 m x 2,510 m (43.3 miles x 17.7 miles + 12.8 miles x 1.56 miles). As a result, the whole area covered by the map, including water, is an enormous 2,036.8 square kilometers, translating to 786.4 square miles. 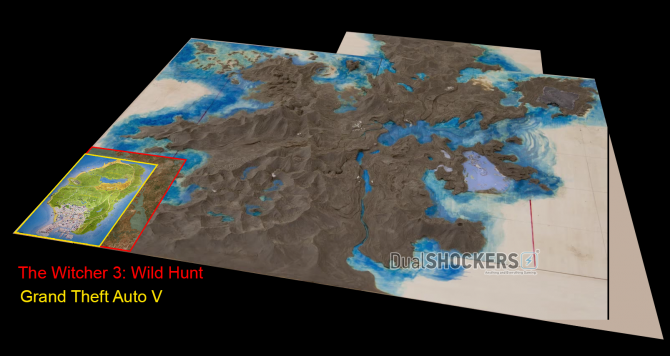 If you’re wondering, this is several times bigger than the main continent of The Witcher 3: Wild Hunt and then the map of Grand Theft Auto V. Below you can see a rough size comparison. Of course we don’t know how dense the world will be, and both The Witcher 3: Wild Hunt and Grand Theft Auto V have very dense maps full to the brim with great details, but in terms of sheer size, Final Fantasy XV definitely comes on top, and not by a little bit. 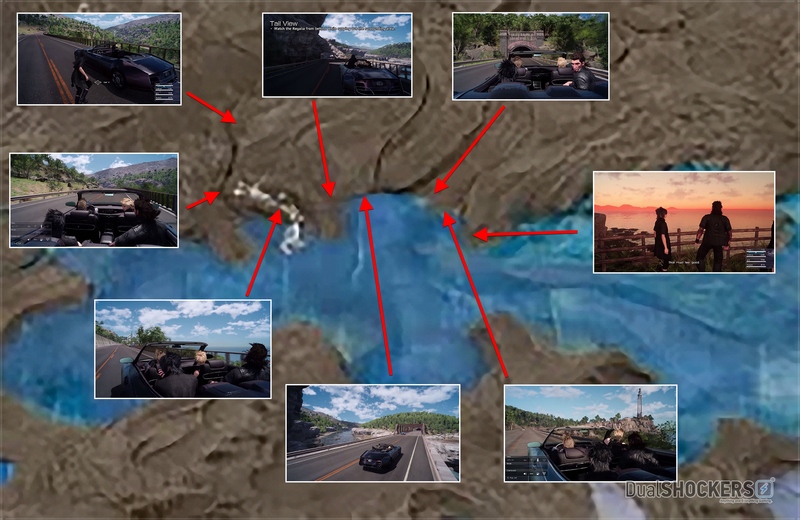 To conclude, below you can see a zoomed-in version of the area showcased in the latest video, with some of the vistas highlighted. Again, the process is not perfect, so there is a margin of error, but this should be a quite good estimate of the size of Final Fantasy XV‘s world. 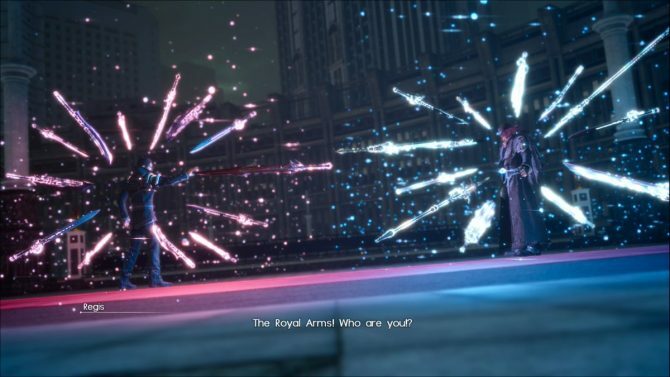 If you were wondering why Final Fantasy XV is taking so long to finally reach the shelves, now you have one of the potential answers to that question. 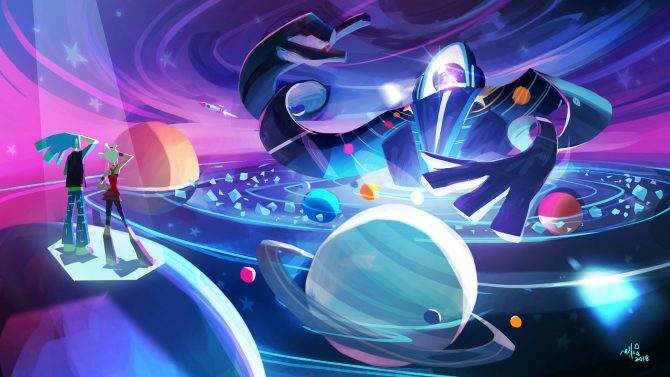 If my calculations are even relatively correct, what’s coming is one of the biggest open worlds we’ve seen in the past few years.